We appreciate your interest in our inventory, and apologize we do not have model details displaying on the website at this time. Please fill the form out below and our team will quickly respond, or, please call us at (510) 623-1111 for more information. If you see a vehicle you like, don’t hesitate to schedule a test drive at FJ Motorcars of Fremont! 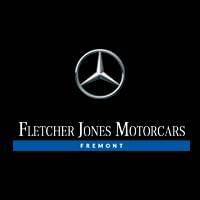 FJ Motorcars of Fremont knows a worthwhile pre-owned vehicle when we see one. So, whether you’re shopping for a used luxury car, or a CPO C-Class, you’ll find nothing but the most reliable used cars near Santa Clara and Alameda. Plus, our pre-owned vehicle specials makes it easier to afford for the car you truly want. As for financing, we’ll help you snag the best possible rates and terms, so you can drive home in the used or CPO vehicle of your dreams.